Creating recipes for a cause! To learn about DFT, read this link. To view more DFT recipes, Click here! DFT is not only diabetic friendly but has stepped up to go “GLUTEN FREE” also this time! 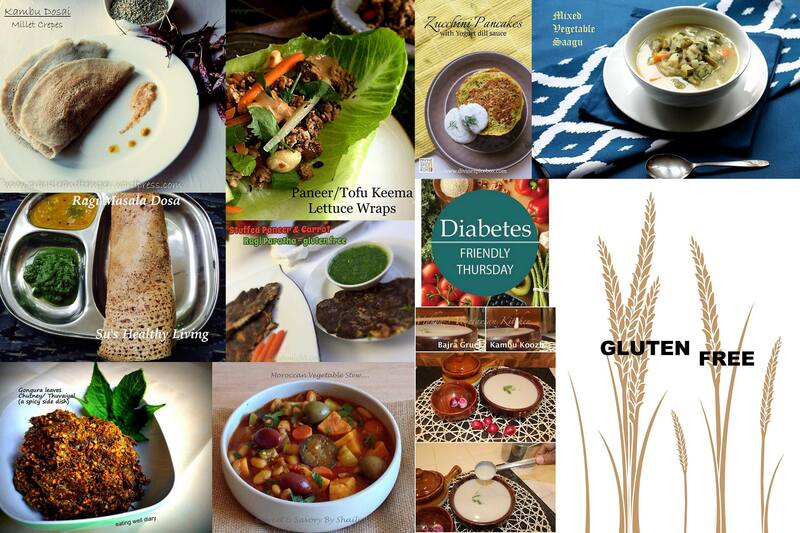 Enjoy the Gluten free diabetic friendly recipes from the DFT Bunch!! 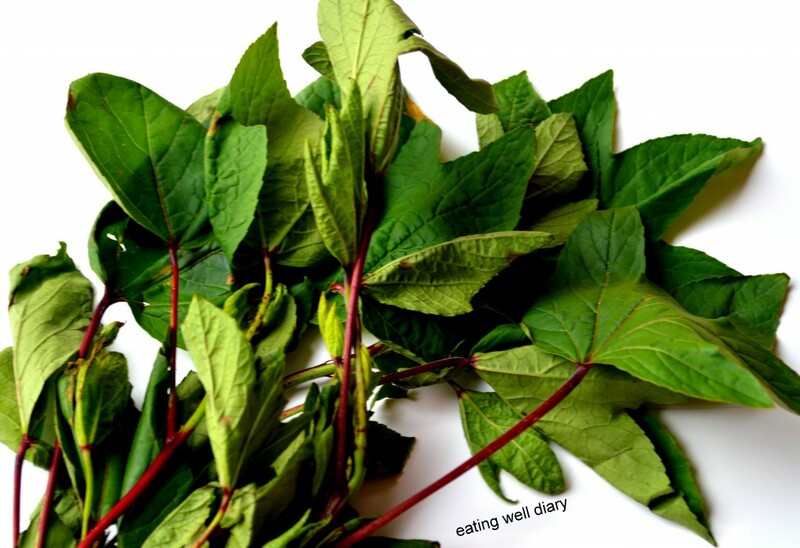 Gongura or Red Sorrel is a culinary herb widely used in the Andhra and Telengana regions of India. The greens of this plant have a slightly bitter taste and are hence called “pulicha keerai” in Tamil. They have a cooling effect on the body and are rich in iron, folate, vitamins, A and C and other phyto-nutrients. According to this source, they also improve the immune system, help in cardiovascular health and control diabetes. 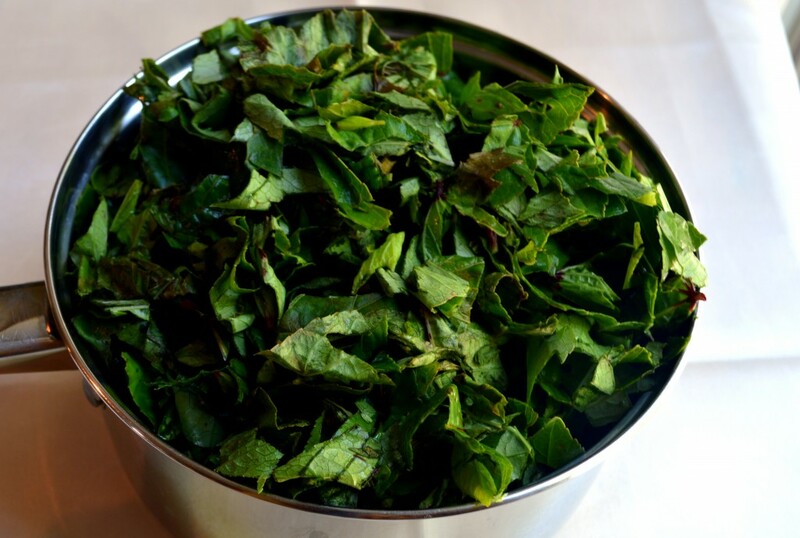 Gongura pachadi as it is called in Telugu or thuvaiyal in Tamil, is one popular way to consume this delicious herb. This side dish is good with plain rice, with gluten-free roti or with rice mixed with plain yogurt. 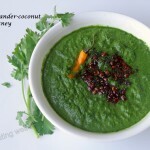 Tangy, spicy and finger licking good, with amazing health benefits! Find it in your market (Indian grocery) today! A word of caution, though: Just like spinach, gongura leaves contain lots of oxalic acid, which can bind with calcium to form calcium oxalate. This can lead to the growth or formation of kidney stones in those who are prone to this condition. Those people who need to control oxalates in food should consume this in moderation. Since I make this very often while it is in season, I partly cook this in water and discard the resultant liquid. This method removes some of the harmful oxalates. In this picture, the leaves are washed, chopped and ready to go! Gongura leaves- 500 g. approx. 1. Remove leaves from the stem, wash and chop roughly. I had roughly 500 g. of chopped leaves. 2. Take a pan, add 1/3 cup water along with the leaves. Cover and cook on low flame till the leaves wilt. Drain the water. 3. In a saucepan, add 1/2 tbsp. of oil, urad dal, asafoetida and red chillies. Shallow fry till the lentils turn brown. 4. Cool the leaves and grind along with the fried chilly/lentil mixture. 5. Return to the saucepan with another 1/2 tbsp. of oil. Shallow fry on low heat till any excess moisture evaporates. This helps in preservation. 6. Add some minced or finely chopped raw garlic and mix well. This not only adds flavor; raw garlic is very nutritious and the taste completely blends in that you’ll hardly notice it. This step is optional. 7. When stored in the fridge, it stays for a week to 10 days. This recipe made about 520 g. of this spicy relish, about 10 servings. This recipe makes a spicy chutney. If your tolerance for spice is low, use lesser number of red chillies accordingly. With less spice, the amount of oil can also be reduced to 1/2 or 1/4 tbsp. Check the other DFT posts from my friends! 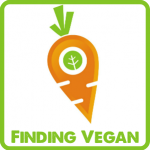 Sharing this at Deborah’s Vegan Potluck Linky Party #63 at Urban Naturale. Very healthy and yummy dip! Never tried gongura before. Looks interesting. Hi Apsara, I have never used Gongura leaves before although I have gongura pickle – the bottled one! I am going to look for these leaves next time I go to our local Indian grocers! 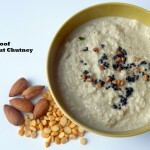 This chutney looks mouthwatering! Gongura is absolutely great for detoxification of the body. I love both gongura pickle and chutney. Thanks for sharing the tip to alleviate some of the bitterness of the leaves. 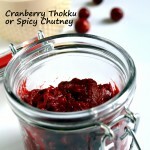 Love chutneys which can be served with rice (rather than chutney as accompaniment) such as your Gongura chutney. Have heard so many good things about this, now again more from you. Must try it. Hope to look for these leaves soon. It was so enlightening to read about the health benefits of gongura leaves. 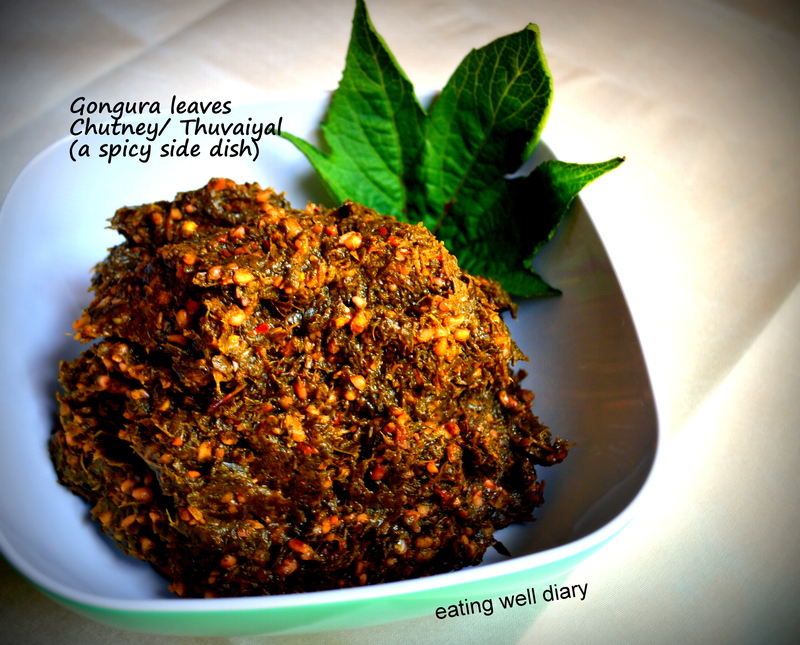 Thank you so much for sharing your healthy, spicy and delicious Gongura Leaves Chutney or Thuvaiyal with us at the Plant-Based Potluck Party Link Up. I’m pinning and sharing. thank you so much, Deborah. glad you found this interesting.